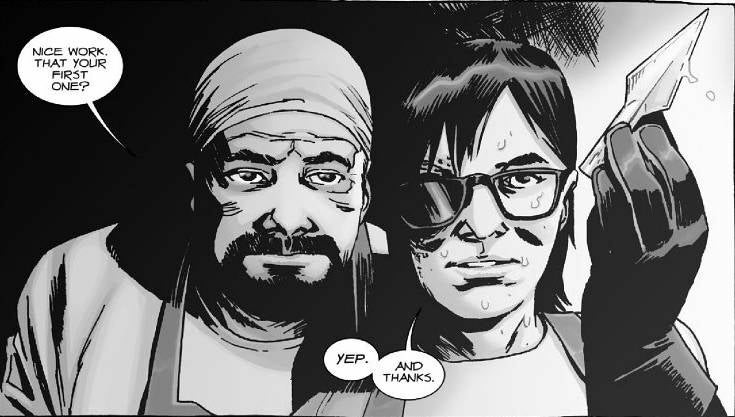 Throughout the entire Walking Dead comic series, readers have been treated to an incredible amount of unique characters. The show has given us plenty of these characters, and added a few of their own, but they have only managed to reveal the tip of the iceberg. There are so many characters in The Walking Dead universe that have yet to appear on-screen, but season seven will aim to change that. We were introduced to Negan, Simon, and Dwight in season six, and they all have enormous roles going forward. Could we some other main characters come to life this year? Let's take a look at some characters we could be introduced to in season seven, and how they fit into The Walking Dead. Magna is one of a group of survivors that have an early run-in with The Whisperers. After being attacked, Jesus comes to their aid, saves them, and escorts them back to Alexandria. Magna is clearly established as the leader of the group, and her tenacity rubs Andrea the wrong way when she first arrives. No one has much trust in the newcomers, and Magna has no trust in Alexandria. Magna's character is set up to be a villainous presence in the community, but she turns out to be an extremely reliable member of Alexandria. The Whisperers probably won't be introduced in season seven, but adding Magna and her group a little early on the show wouldn't be a bad idea. 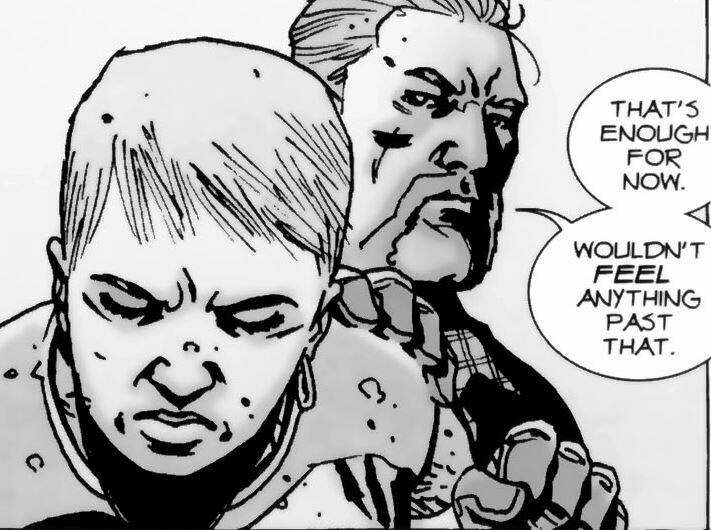 With all the shuffling of roles from the comics, it would be beneficial to bring on another strong female character during the war with Negan. This one is a given, but Ezekiel is so much more than just another character to the series. Throughout his stint in the comics, Ezekiel is established as one of the most important individuals in the communities. 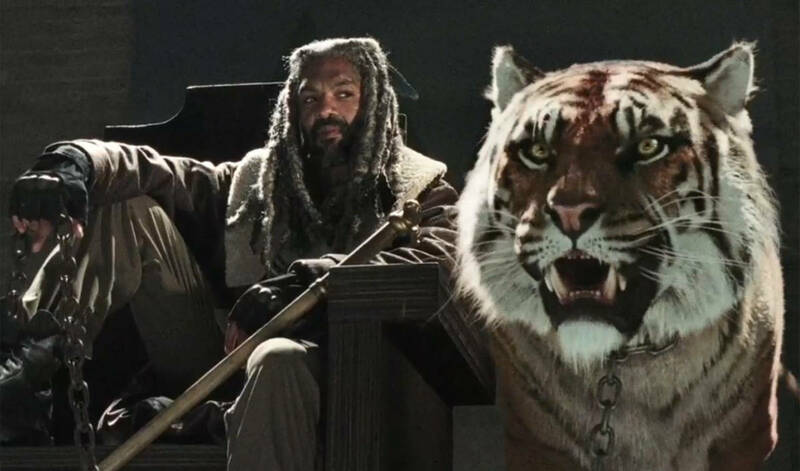 His role begins as the ruler of The Kingdom, earning him the name King Ezekiel. 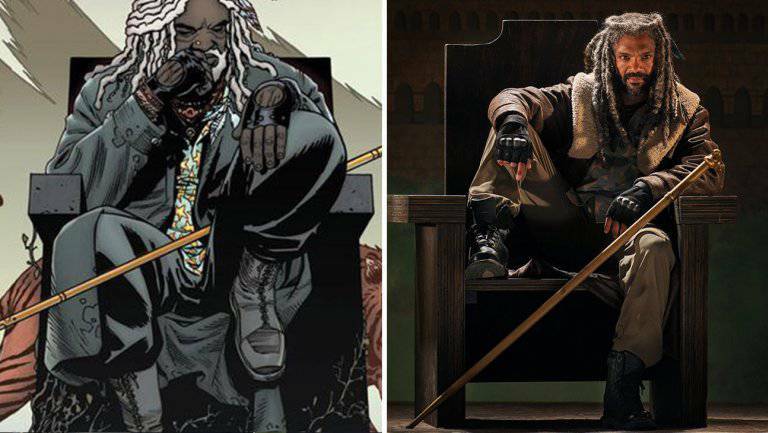 After joining forces with Rick, and a complicated relationship with Michonne, Ezekiel becomes one of the more genuine and honest characters in the comic. Since the show is void of honest characters in recent seasons, Ezekiel should stick around for a while. 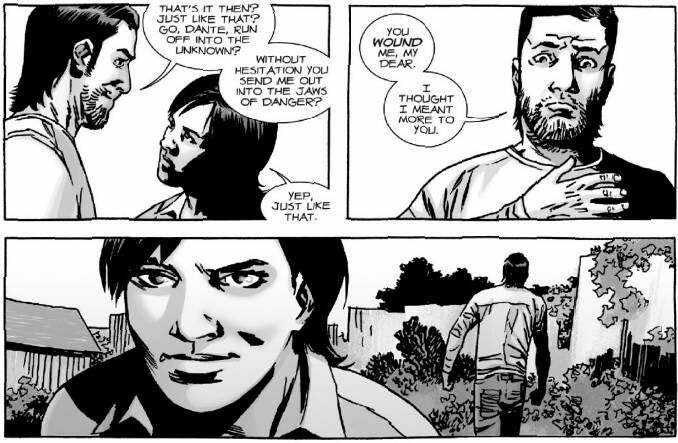 He likely won't get the relationship with Michonne that he has in the comics, mainly because her hand has gone to Rick. What does seem bound to happen, is a relationship with Carol. She's in a fragile state, and he is larger-than-life. This dynamic will play extremely well on TV and Ezekiel will surely become your new favorite character. Holly will be tough to tie into the show at this point, since her comic appearance came much earlier. Regardless, she was crucial to the story going forward, so it could happen. 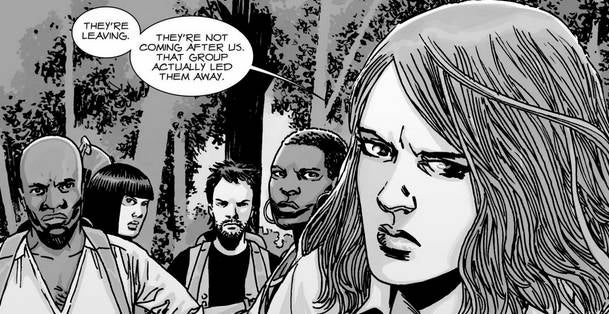 In the comics, Holly is one of the original members of Alexandria, meaning that she was living there before Rick and his group showed up. She was a big part of the construction crew that Abraham took over, and the two fell in love. This role on the show has gone to Sasha so far, but Holly's character goes beyond that. After Abraham is killed, Holly sacrifices herself to try defeating Negan and the Saviors. If we get Holly on the show, her role could be enormous. SHe could be replaced entirely, however, and more of her role given to Sasha. If the rumours are true, and Glenn dies in the season premiere, this will make for a lonely Maggie. Her heart will be broken, her hope destroyed, and she will find herself in a place she hasn't known since the farm. Dante will try to be her medicine. He may not ever succeed, but he's sure going to try. Dante is a resident of Hilltop, and he becomes one of the key protectors of the communities. Once Maggie takes control of Hilltop, he serves as her personal aid, in a sense. If something needs done, if a person needs to be found or protected, Maggie turns to Dante. While it may just be a business relationship from her end, he has always wanted more than that. Dante advances on Maggie on several occasions, but never too inappropriately. He constantly asks her to dinner, or to spend some extra time with him, but it's always to no avail. Maggie has turned down Dante for a long time, but he may be starting to wear her down. She has seemed more fond of him in the recent issues, and a love between them could eventually unfold. Earl Sutton is easily one of the most friendly characters in the comic series, and fans have been begging for his adaptation since Hilltop was first discovered. A longtime resident of Hilltop, Earl Sutton is an expert blacksmith. He makes many of the weapons for the community's guards, and ends up fashioning a fake hand for Rick in the comics, since he lost his real one to The Governor. Perhaps the most interesting part of Earl's story is his influence on Carl. Carl finds a fascination with creating things, and looks to Sutton as a mentor. While never exactly contradicting the teachings of Rick, Earl does help to give Carl a different perspective on life. Many fans speculate that Earl has already appeared on the show, albeit briefly. When Rick had to kill Ethan last season, many members of Hilltop were shown, reacting to the violence. One of them was a large, bearded man, who appeared to be a blacksmith. There's a good chance this was a tease at Earl Sutton, but there has been no confirmation from the show.